Synopsis from Goodreads: Lexi Angelo has grown up helping her dad with his events business. She likes to stay behind the scenes, planning and organizing...until author Aidan Green - messy haired and annoyingly arrogant - arrives unannounced at the first event of the year. Then Lexi's life is thrown into disarray. I received a proof copy of this from my book club, which has in no way affected my review, these opinions are very much my own! My first thoughts going into this were that it sounded like good fun, I was buzzing for a story at a convention but I'll admit that I was somewhat apprehensive that I wouldn't enjoy it because I'm not always the biggest fan of contemporaries that centre around romance (I think it's something to do with my potential aromanticism but that's besides the point!). I honestly loved this book so SO much!! 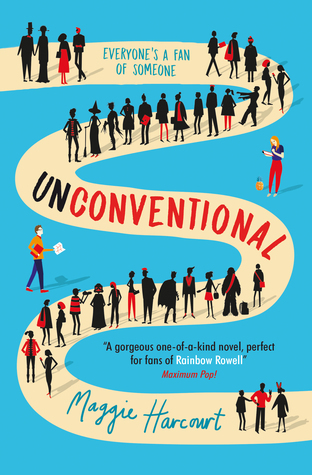 Set at across a number of conventions run by the company Lexi's dad owns, Unconventional is a ridiculously slow burn that's set over a number of months, in various locations. It's just such an enjoyable read and let me tell you, there's something magical about reading a book that's about books and authors and sci-fi-related nerd things! As you may have noticed if you've read any of my previous reviews (or if you've ever seen my tweets) I'm a fiend for a good diverse set of characters which I really think that Unconventional delivered on! Especially with the casual mention (I don't think it's really a spoiler?!) that her mum has a girlfriend now! I just loved that it slipped in an LGBT+ mention like it was nothing, like it was -woah hold up one second- normal??? 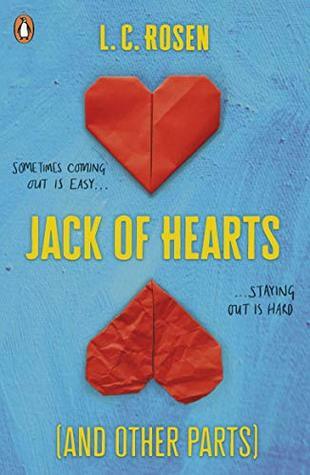 It shouldn't be something that I should have to keep mentioning when I review books because it shouldn't be something that's unusual but I'm seeing more and more casual mention of LGBT+ characters and I love it! Anyway overall Unconventional was a super fun, easy and thoroughly enjoyable read with relatable characters who you will definitely love! Check it out because it's wonderful (and leave me a wee comment if you feel the same or otherwise)! P.s. thanks to Liverpool One Waterstones YA book club for getting us copies of this beauty!